Five exercises to help you grow faster. Francis Piche teaches people how to remove obstacles and grow their life and business. After years of certifications and training with world-leading coaches, Francis has mastered advanced communication techniques that he applies to uncover the secrets of some of the world’s most successful and noteworthy individuals. His extensive training includes work with experts such as Tony Robbins, Brendon Burchard and Roger Love. First of all let’s define resilience: it is the capacity to recover quickly from difficulties and can also be described as mental toughness. In order to integrate resilience in your life you need five components to reactivate your passion. No TV, so social media, no journaling, no audiobook listening, no reading, no work. Try to do nothing on three days and just do the things that are important, what you love and what makes your heart come alive. Of course you have to think about these things. When I thought about this exercise I wanted to travel with my wife, doing taekwondo and also start writing a new book. So, what is it for you? What do you want to do? Be clear and most importantly eliminate all things that could interrupt you and just do them. Purpose and conviction brings a lot of drive and creates massive resilience when dealing with setbacks. So you have to be sure what you want out of life. It is time for the death day exercise. Answer following question in your diary. What would you do with the time left? Who would you like to be with? What will be your contribution to this world? What would you be recognized for? What would you like people to remember about you? How would you like them to feel about you? What would you need to do to make others feel that way every day you live from now on? Describe how you feel. Describe with specific details what has happened for the last 5 years, the breakthroughs you had, the people you helped, the people whom you are with, the places that you traveled to, the impact you made. It is very important that you describe your senses and your experience in detail. This exercise activates your brain and helps you to get your visualization faster. You have to be committed because otherwise you will not achieve your goal. Commitment means being for 100% after your goals and working until you have achieved the results you want. Here are some steps to recharge your commitment: you have to create your goal and also choose your timeline. So, when are you going to reach your goal? Be very specific about the date in your journal and write it down. After you wrote down your goal into your journal, chunk your goal in small steps; this helps you not to be overwhelmed by your big goal. Every time you achieve a small step celebrate yourself and also reward yourself. This celebrating motivates you to take even more action and work harder on your goal. We often times procrastinate things that we`re afraid of and these are the things that block our path to success. So it is time for you to be courageous again and implement it also in your daily life. So take an example from your daily life in which you had negative thoughts or feared a situation. Write down how you feel about the situation. What are your negative thoughts? Now, flip those thoughts into positive interpretations. 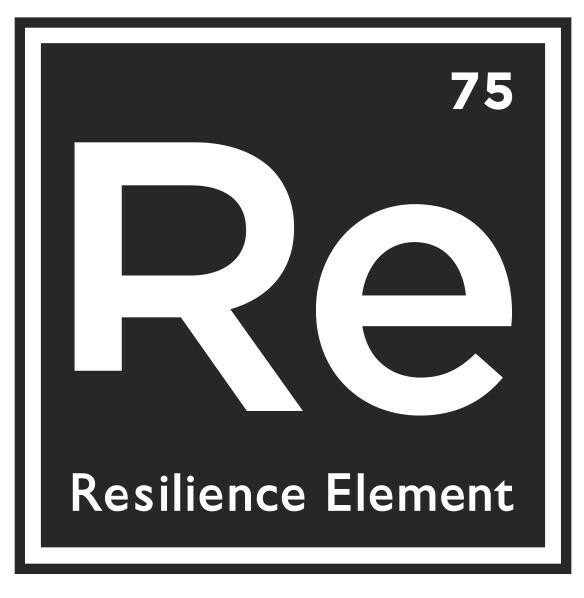 The Resilience Element by Francis Piche is a good way to remove obstacles and change your life in a positive way. It not only helps you to visualize your coming future but it also helps to be more resilient in your daily life. After obstacles, which are definitely happen in your life when you have big goals, you will recover faster and achieve your dreams faster. To put it in the words of Sylvester Stallone in Rocky: It is not about how hard of a hit you can give … It`s about how many you can take, and still keep moving forward.